When teachers at Morgan are feeling under the weather, attending meetings, or simply can’t make it to school, substitute teachers are there to fill the gap between students and their education. Some of the most well-known substitutes at Morgan include Yoshi Ikezoe, Linda Gworek, Bill Comeau, Stephen Somma, Anne Schreckinger, John Connolly, Art Symonds, and Mark Blondin. We only get to see them a few times a year, but when they come to Morgan, they bring with them their own experiences and personalities to share with us all. Anne Schreckinger has been subbing here at The Morgan School for two years. She has worked as a substitute for other schools for about three years. Mrs. Schreckinger said that she likes subbing here mainly because it is a high school so the kids are more relaxed and not as “wild”. Mrs. Schreckinger said that although she likes the kids at The Morgan School, she would appreciate it if the kids said “thank you” more when they are given a handout or something of that sort. Mrs. Schreckinger was a music teacher before she became a sub. Mrs. Schreckinger explained that she enjoys being a sub because she has the feeling of being some sort of teacher, but she as a sub she can choose which days she wants to come into work. Avid substitute teacher Yoshi Ikezoe stated that he enjoyed subbing at Morgan. He subs at Morgan at least once a week and more often in Guilford. Mr. Ikezoe stated that he also likes the students at Morgan because he thinks they are mature. This is currently Mr. Ikezoe’s second year teaching at Morgan. He reported that he used to be a history teacher so being a substitute teacher makes him feel like a teacher again. He also likes being exposed to the younger population. Perhaps one of the most well-known substitute teachers Bill Comeau has held a constant role in subbing for the Clinton School District for the past 17 years. At 82 years old, Mr. Comeau rides his bike to school when he substitutes and enjoys sharing his grand stories and jokes with kids of all ages in every grade. Sophomores Jack Bergeron and Mike Gionfriddo have both stated that they prefer Mr. Comeau over any other sub that comes to Morgan. 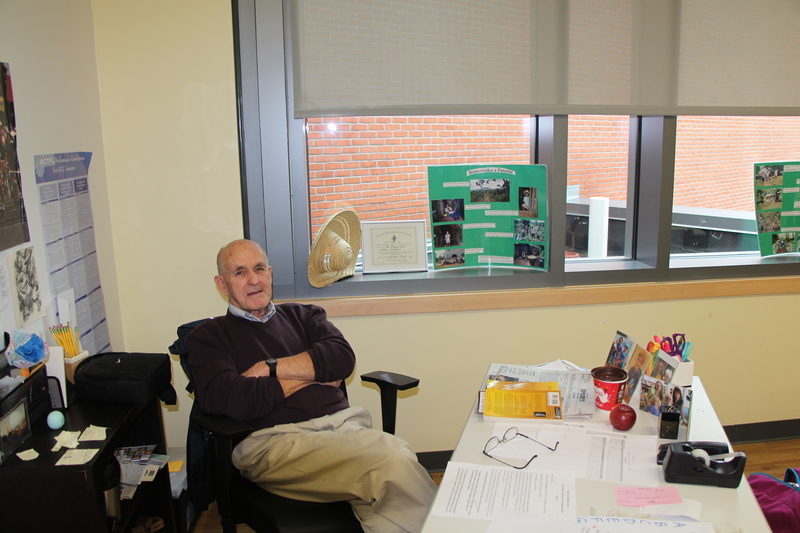 They like Mr. Comeau because of the stories that he tells, and he always has something interesting to say to his class. Mr. Comeau originally aspired to become a teacher, but instead found himself wrapped up in the corporate world. He eventually found himself doing too well financially to ever consider becoming a certified teacher. Substituting was his ticket to teaching, and he feels he is lucky to be a part of it. No matter who it is or where they come from substitute teachers at The Morgan School are generally very nice and considerate to the students. Even if the teacher is absent, students can be sure to learn a thing or two when a substitute is around.